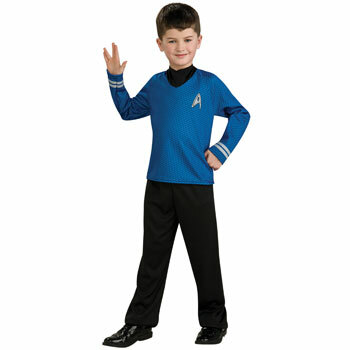 Okay, we all know that people either like Star Trek or they are complete fanatics. 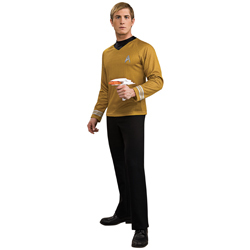 So, I will preface this with a disclaimer: If you are a die-hard Star Trek fan and money is no object when it comes to your collectibles, go to the Anovos website and pre-order your Star Trek replica uniform now. 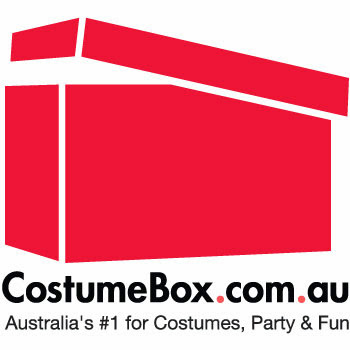 If, however, you like to party like it's 2387 and you want to look the part without spending a small fortune, we've got you covered! 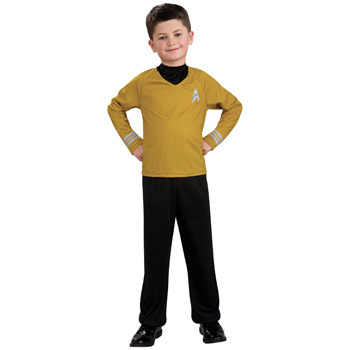 These Officially Licensed Star Trek® costumes really look authentic and will have you strutting the Starship Enterprise in style. 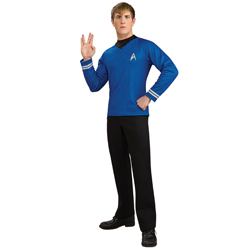 Captain Kirk, Scotty, Spock and Uruha are easily the most recognizable Star Trek characters. Besides starring in The Original Series from the 1960's, these chracters were the focus of the most recent Star Trek movie, it's really good, make sure you see it if you haven't already! Of course they come in wee-sizes! 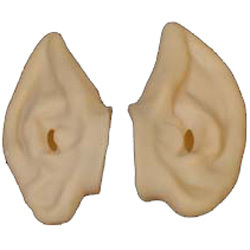 The lads will love wearing these for a party or just playing dress-up. 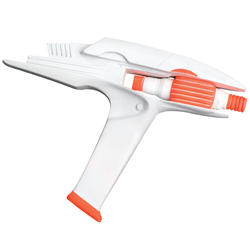 No Star Trek costume is complete without a Phaser, set to 'stun' and give Khan a taste of his own wrath! 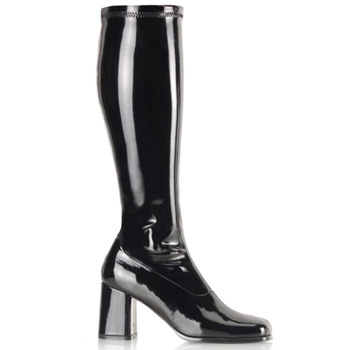 Uruha wouldn't be complete without her black patent leather boots, and a Spock without pointy ears? Meh! Who? 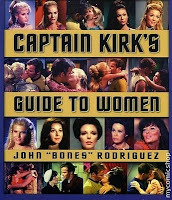 There are heaps of Star Trek characters, Wikipedia has one of the most definitive lists organized by series. The original cast is probably the most recognizable, but in case you want to geek-out: Wiki Star Trek Characters. 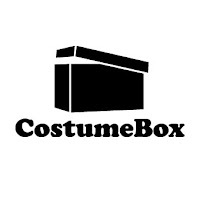 Not sure what character suits you best? 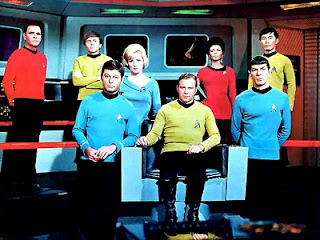 Try out this Star Trek Personality Test! What? In case you thought Star Trek was a movie, there have actually been 5 Star Trek TV series: The Original Series, The Next Generation, Deep Space Nine, Voyager, and Enterprise. There have also been 11 feature films, including the recent Star Trek, 2009, and there is a 12th movie in the works at the moment! You'll need to know which ship you belong to, study this: Starships. Where? 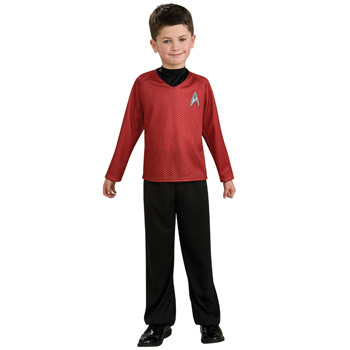 The United Federation of Planets was founded in 2161, duh, and has a population of 985 billion people. I wonder how many of them are on Facebook? In any case, here's a map of your new home! The attention to detail of Trekkie's never ceases to amaze me! When? Here's a Star Trek timeline to help keep yourself straight on which Stardate lines up with which series, characters, and starships. 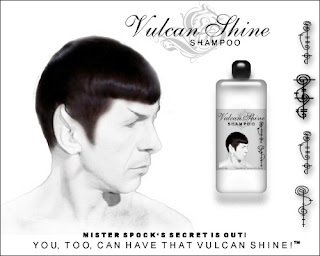 Or you can just keep saying "Beam me up, Scotty!" That's what I would do! Need more info? 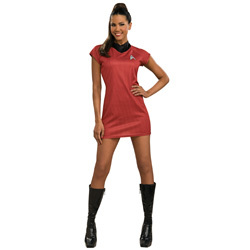 Go to the source: Star Trek online. Need some quotes? Star Trek quotes by series. 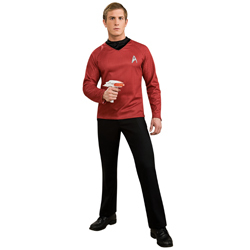 If you find yourself mysteriously drawn to this world once you've donned the Star Trek uniform, and you can answer most of these Star Trek Trivia questions properly, you might want to investigate attending the Star Trek Convention in Vegas! 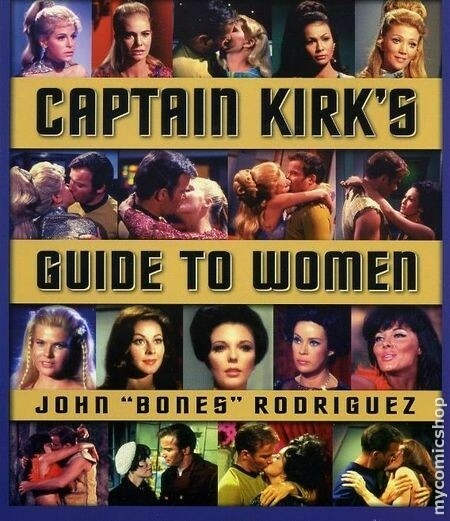 It's no secret Captain Kirk was a player, but things have gone next level here, Captain Kirk's Guide to Women, available in print or on Kindle at Amazon. If you don't have time to wait for it to show up, check out their Blog - it has heaps of info and some great Star Trek moments: Beam Aboard!